The Whisky Waffle boys watched with bated breath as Mark Littler, head distiller at Hellyers Road in Burnie, turned to the guest of honour. 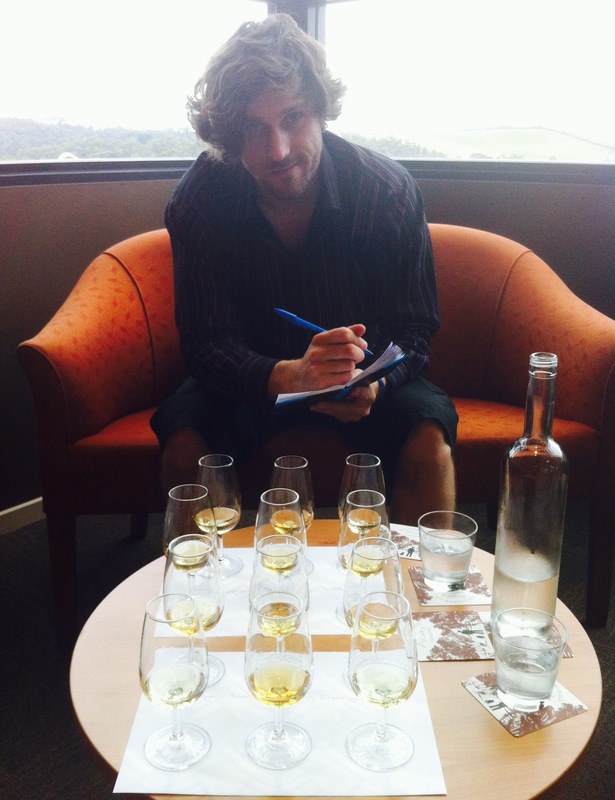 “What do you see in your glass?” He asked, offering a dram of Australia’s first 12 Year Old single malt. “I see fluid!” came the rumbled reply. When the guest of honour is Jeff Kennett, former premier of Victoria, recent president of Hawthorn Football Club, current chairman of beyondblue Australia, and whisky fanatic in general, you can be assured of an entertaining night of pithy banter, some of it directed at the crowd (we were dubbed the ‘Blue Ties’ for the striking colour of our neck adornments supporting beyondblue, as the charity was to be the beneficiary of the nights proceeds). The Whisky Waffle boys were at Hellyers Road in an official capacity, though to be honest wild Celts could not have kept us from attending. 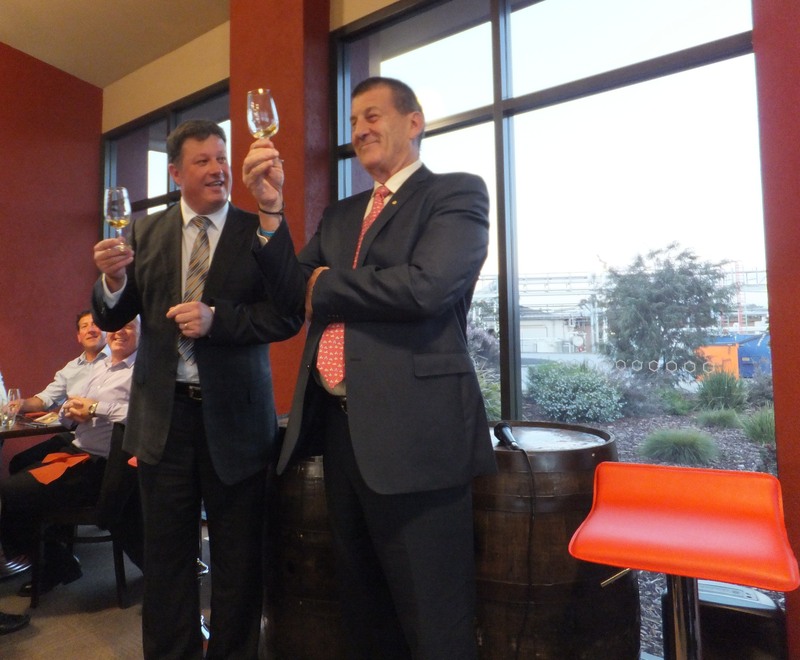 On Tuesday the 28th of October 2014 we were both delighted and proud to have the opportunity to attend the official launch of the distillery’s new 12 Year Old single malt, a milestone achievement for Tasmanian whisky. The night was hosted by Julian O’Brien, editor of local newspaper The Advocate, although he claimed not to be there as a reporter (Jeff: “But I’ve met journalists before.”). 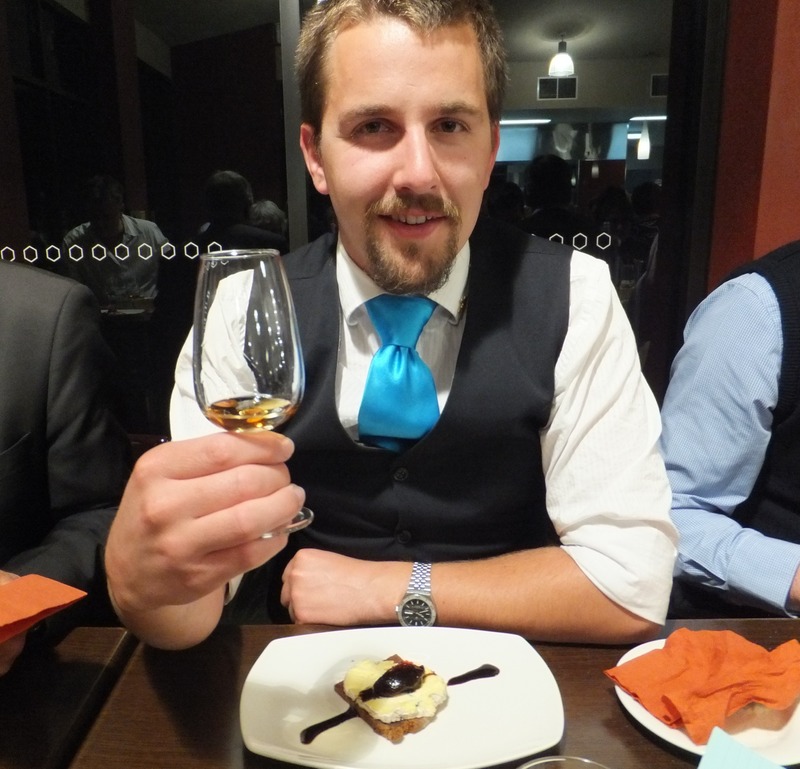 Guests were treated to a five course degustation menu pairing local produce with whisky (Hellyers Road of course!). We must admit to being slightly sceptical about the concept of deliberately pairing whisky with food (surely a good malt goes with anything!) but we were more than willing to be won over. Helping the meal to go down was the stunning view from the Hellyers Road visitors centre restaurant out across the Emu Valley. First cab off the rank was Hellyers Road’s only previous age statement whisky, the 10 Year Old, a drop that Mark Littler referred to as “possibly Australia’s number one selling single malt”, and was matched with a delicate dish of natural Tasmanian oysters. On our first attempt at food and whisky pairing we decided that one did not overpower the other, and the saltiness in the oysters accentuated the sweetness in the whisky. 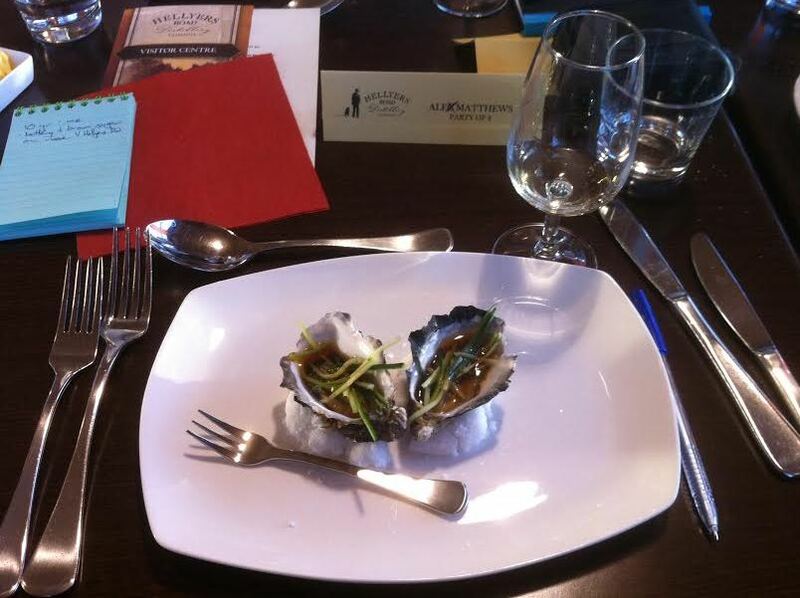 Tasmanian oysters usually come armed with a tiny fork. Naturally. After the oyster course came the moment that we were all waiting for, the unveiling of the new 12 Year Old. Mark invited his guests to not just taste the whisky, but to ‘chew’ it, claiming they would find greater depths of flavour if they did so. “Are you with me?” he asked. “Only out of sheer curiosity,” replied Jeff, who had joined him for the tasting. 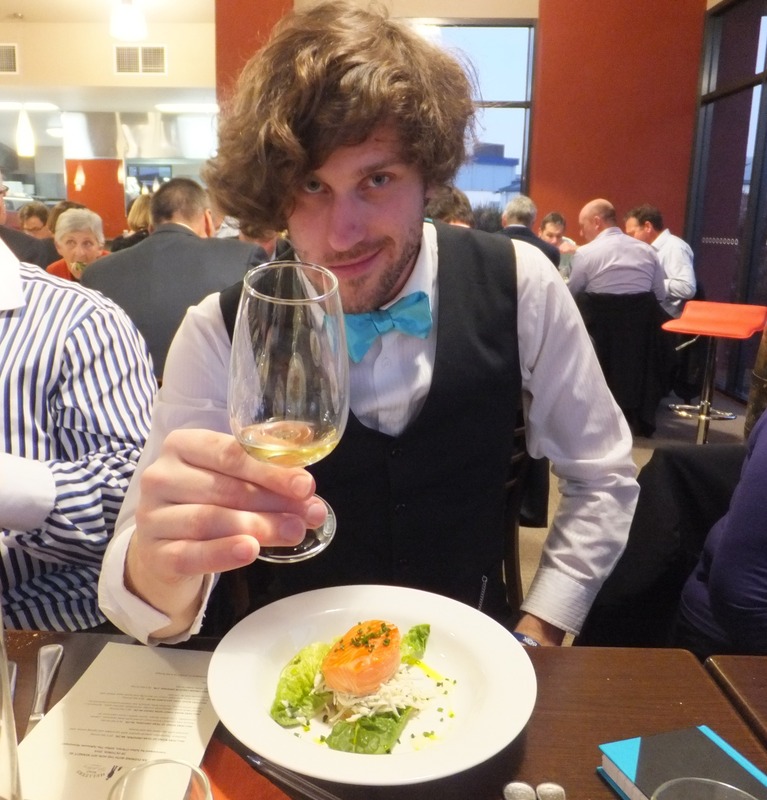 The 12 was paired with a dish of Petuna hot-smoked ocean trout, the whisky’s natural oiliness working well with the fish. The next course was the Hellyers Road Pinot Noir Finish coupled with a sumptuous dish of duck, however our pairing notes were cut short at this point because the guest speaker began his formal address. He also regaled us with a number of humorous tales, telling us of his ‘Man Cave’ which contains a large proportion of his 700-odd strong collection of single malt whiskies. Julian then commented that the Whisky Waffle boys might like to pay a visit to the ‘Man Cave’ to sample the wares. “Not wearing those ties!” retorted Jeff. “Well in that case you’re definitely invited.” We are pleased to say there were over 50 others present to witness this offer. Jeff says that beyondblue is by far the thing that he is most proud of and will always be, unless (as he claims) he lives to 150 and something else overtakes it. His one wish is to end discrimination, and if we can do this he feels that we’d be much happier as a society. 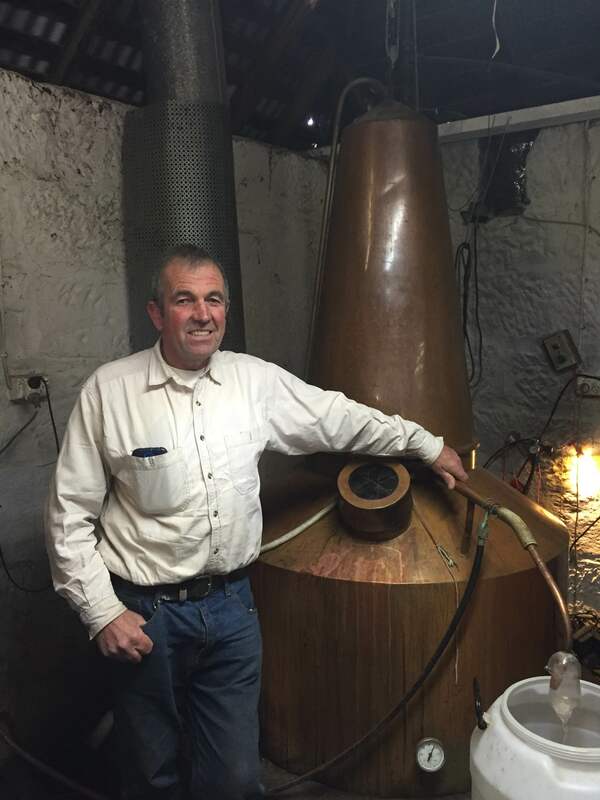 On a more serious note Jeff feels that if the Tasmanian whisky industry is properly supported then it could become a major drawcard for the state, helping to provide much needed money and jobs and raise its global profile. The fourth course of the night was a curious combination of King Island Dairy triple-cream blue brie with quince paste on honey spice bread. 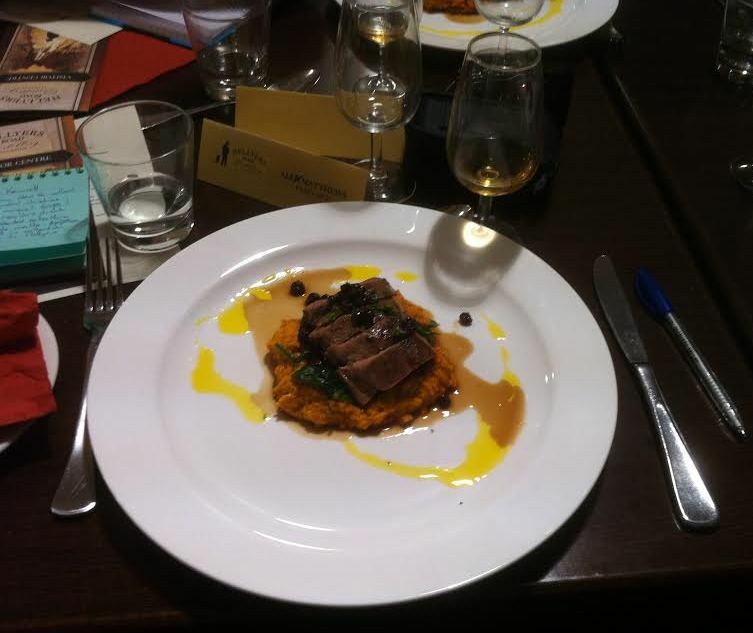 For this dish Hellyers Road brought out their whisky best suited to complement the rich flavours on offer, the excellent Port Cask. We were both very impressed by this single-barrel release, which combined the typical Hellyers Road buttery notes with rich winter fruit flavours. 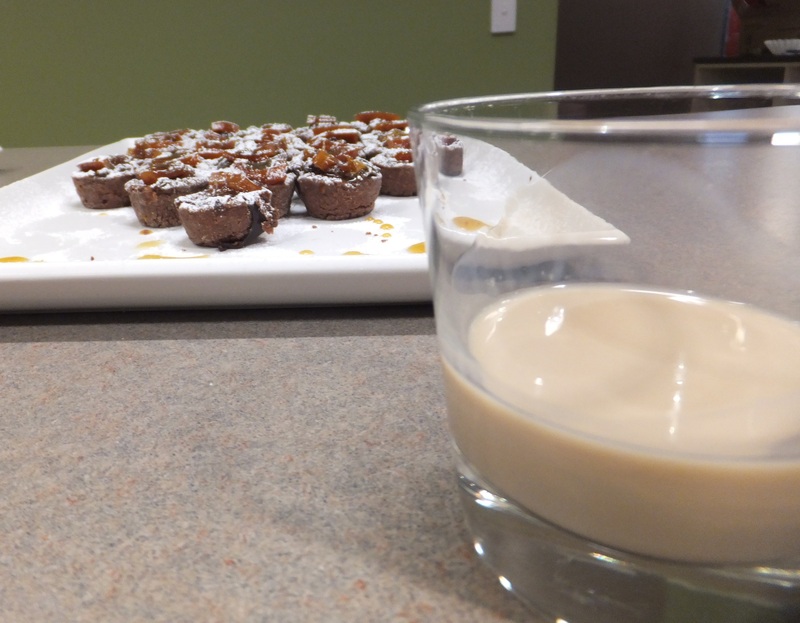 As we sipped our Hellyers Road whisky cream liqueur and nibbled on our final course: orange vodka fudge tartlets, we mused on our evening. The whisky was definitely a highlight, but perhaps even more so was meeting the people that made it, and the passion and delight they radiated when sharing their craft with others. 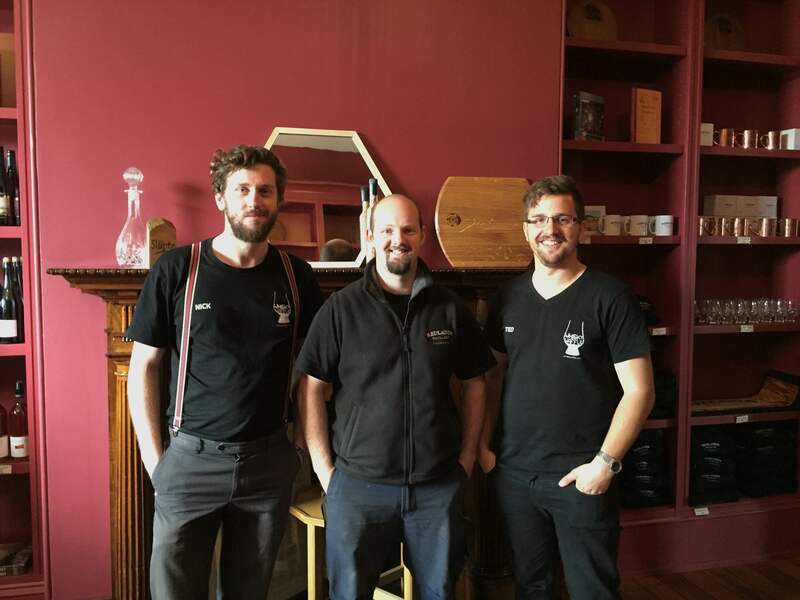 We hope to continue this friendship, as we all share the same hopes for Tasmanian whisky, and are proud to have a local distillery producing drams of such quality. You certainly couldn’t say fairer than that. If you haven’t worked it out already, we’re not shy to talk about our pride in the fledgling whisky industry in our home state of Tasmania. Currently there are nine operating distilleries and as whisky writers, it is our duty-bound quest to visit each and every one of them. 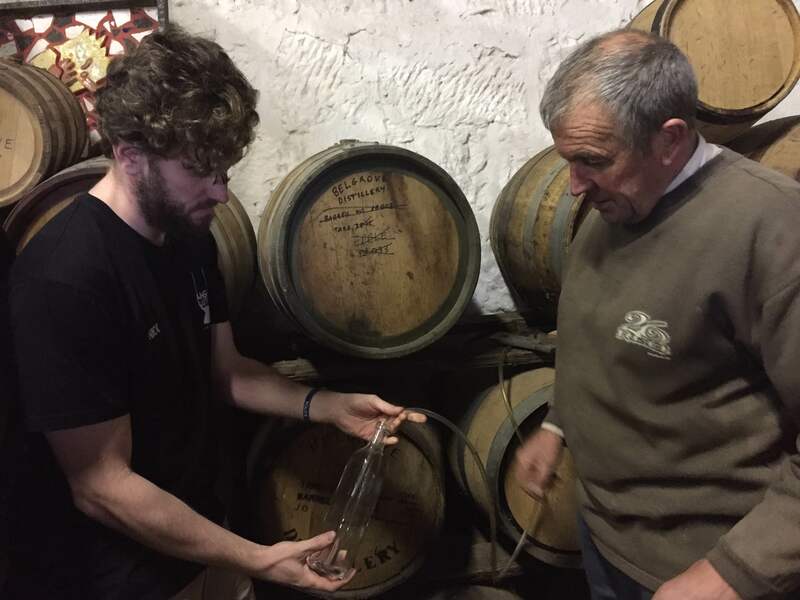 This quest begins with a distillery so new that we left without even tasting a single drop of their whisky… the reason being that it is currently in oak barrels and will not be ready for the best part of a year! 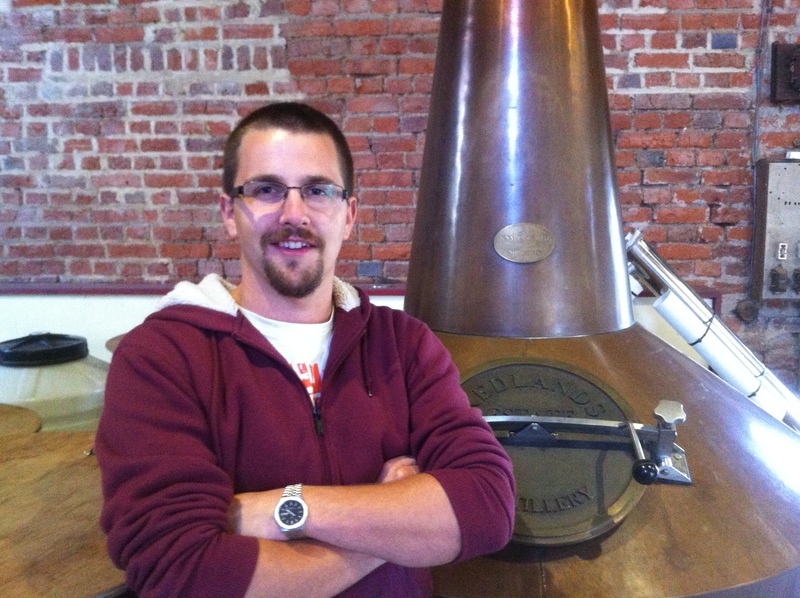 The distillery in question is of course Redlands Estate, Tasmania’s ninth distillery. As we approached the estate, the elm-lined drive provided glimpses of the red bricks of the 19th century heritage farm buildings. Constructed using thousands of bricks made on-site by convicts, the estate summons up a picture of old world rustic charm. Vintage beauty… and some old buildings, too. 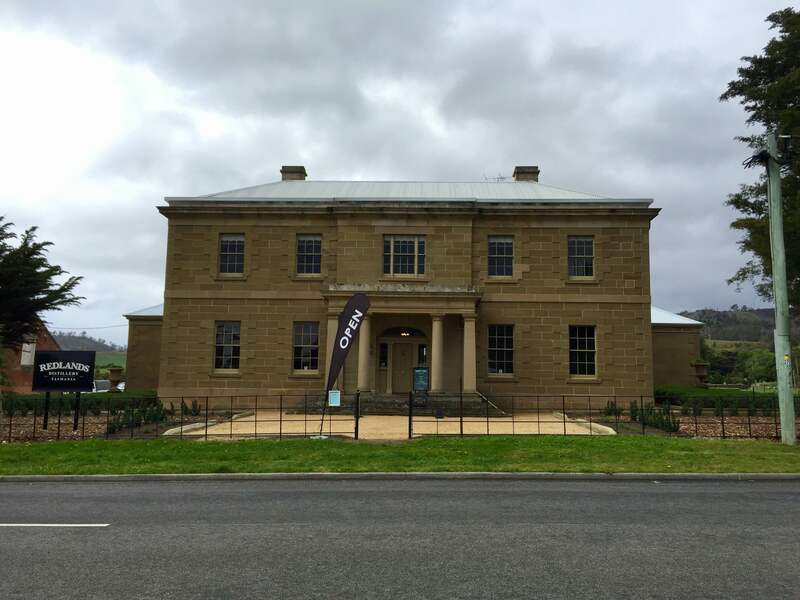 Redlands Estate was originally founded as an innovative farming complex, the fields fed by the waters of the Plenty River, which was diverted into a system of canals throughout the property, devised by the very Tasmanian sounding Count Strzelecki. 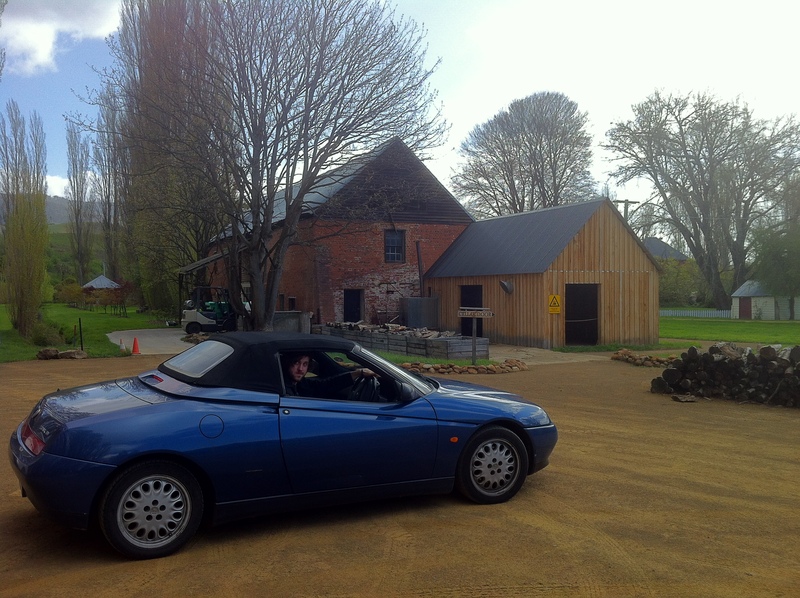 Over the years the estate served many purposes such a hop farm, a dairy, and a granary, before falling into disrepair in the late 20th century. Fast-forward to 2008 when the new owner, agricultural consultant Peter Hope, was contemplating the future of the property. During a lunch with the godfather of Tasmanian whisky, the great Bill Lark, the idea of creating a distillery on the site was formed. 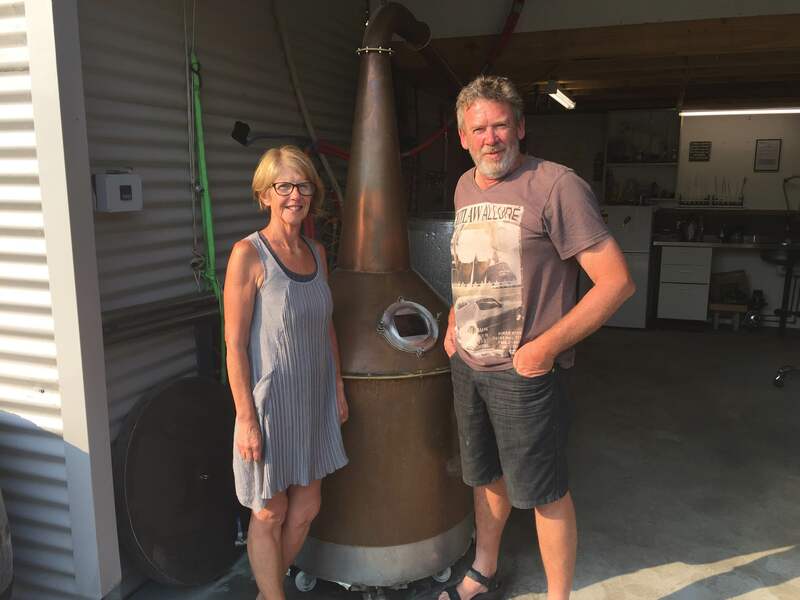 However, this was to be no ordinary distillery: the ambitious minds of Peter and Bill envisaged an establishment that would become Tasmania’s, and possibly the world’s, first true paddock to bottle distillery. Redlands Estate is perfectly suited to this brief: fertile fields for growing barley, pure water from the Styx Valley flowing down the Plenty River, and striking buildings for housing malting floors, stills, and aging barrels. Bringing these elements together is head distiller Dean Jackson, with whom we had the genuine pleasure of spending an enjoyable afternoon. Nick pretending to look at the scenery. 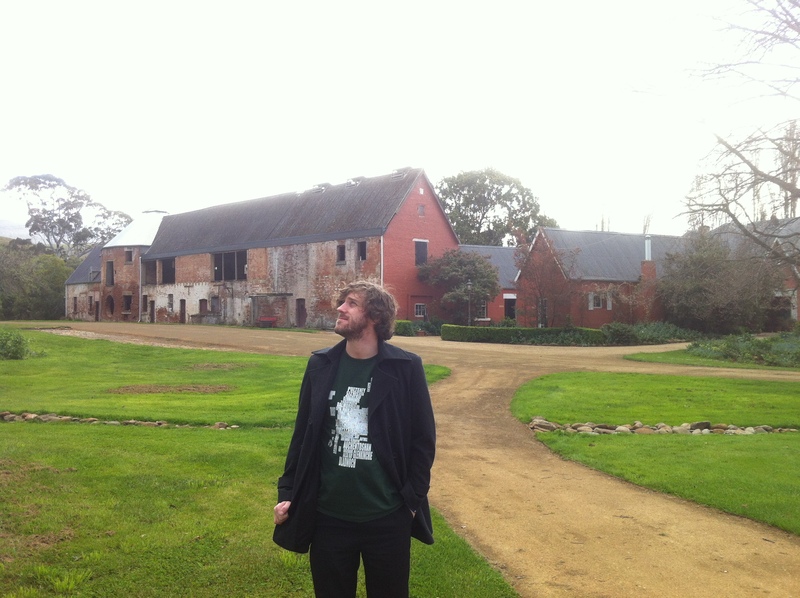 We began our tour with a walk around the grounds, taking in the historic buildings, the Plenty river (Dean was keen to get the “there’s plenty of water” joke out of the way early) and the barley fields. The newly emerging shoots were of the Gardener variety, a brewer’s barley rich in oils and flavours. After harvest in late summer, the barley is steeped in an old water trough left over from the estate’s time as a dairy. When Dean decides the barley is ready, he transfers it to the malting floor. In his own words: “gumboots on, spade in hand, shovel through window”. 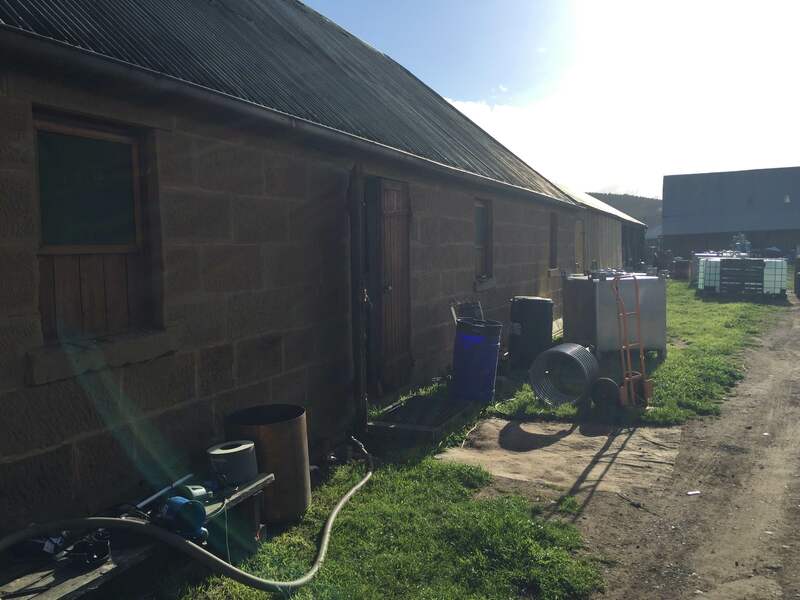 The malting room is an ex-granary and shearing shed, and due to the lack of underfloor heating, can only be used in the warmer months. 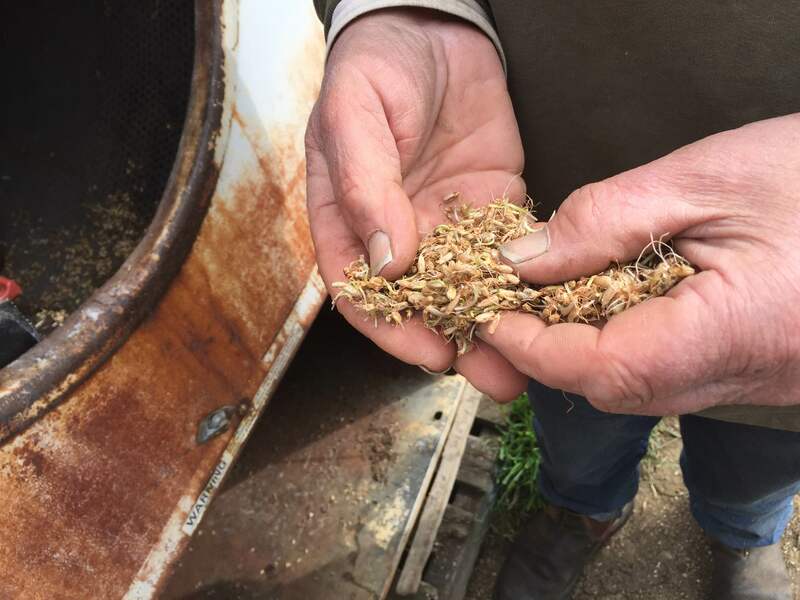 Dean then hand turns the grain three times a day for a week until germination reaches the optimal point. 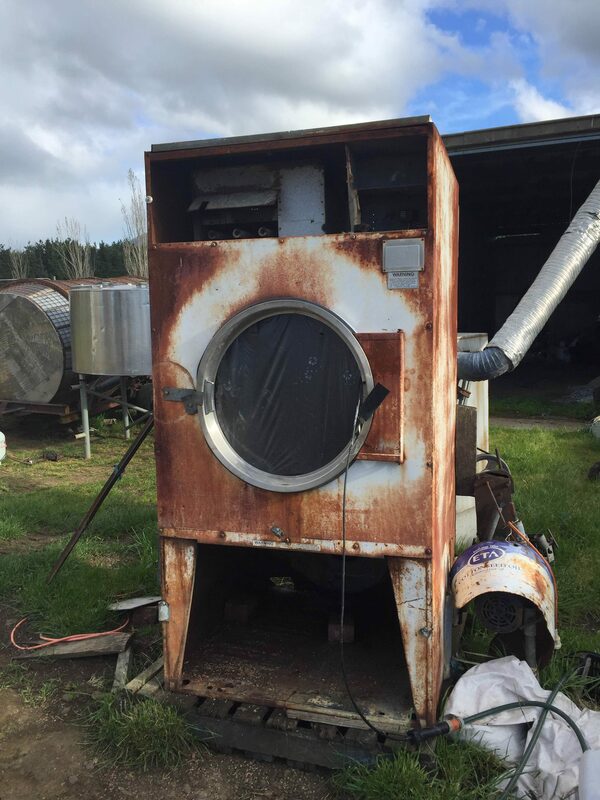 After that, it’s into the purpose-built kiln, a large rotating stainless-steel drum, contrasting wildly with the brick chimneys and pagodas found in Scotland. Ted contemplating the precise function of doorways. 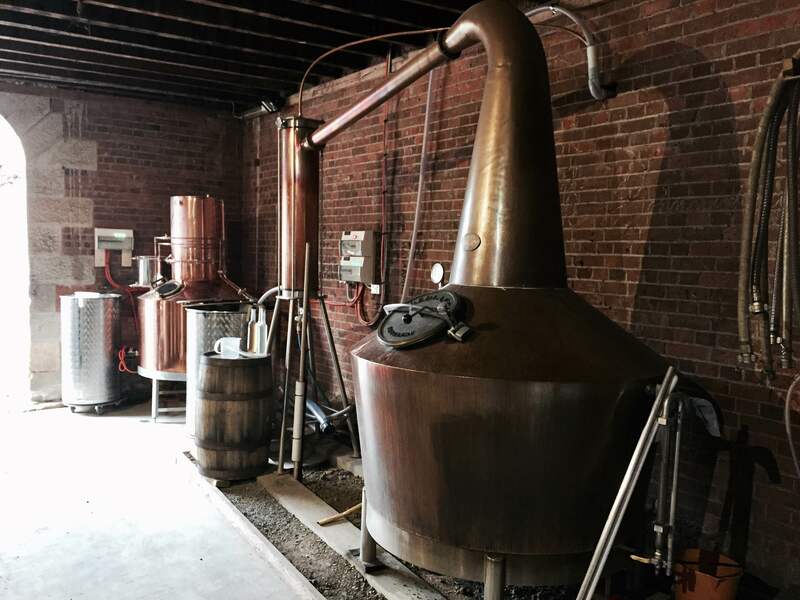 We wandered back inside to the room which houses the mash tun, the wash back and the solitary still, and embarked on a discussion about the flavours imparted in the earliest stages of the creation of the spirit. Different temperatures in the mash tun create different sugar types: lower temperatures can create honey and floral notes, whereas higher temperatures induce brown sugar and molasses flavours. Too hot, and less pleasant notes can emerge. Dean references this as a crucial process: “Stuff it up and you’ll get bad spirit”. 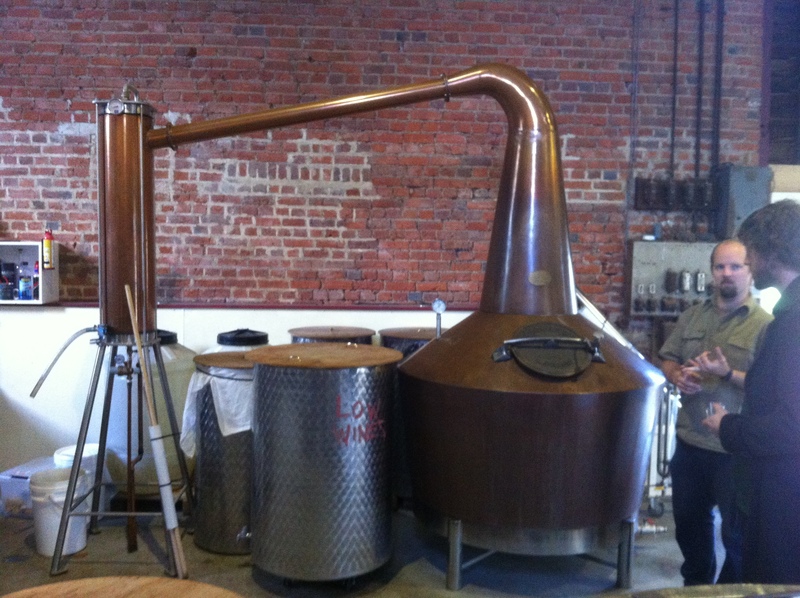 Rather unsurprisingly, this spirit was very clear in appearance and had high alcohol on the nose. Once we finished congratulating ourselves on this line, we did discover some other flavours, such as floral and oily notes, with a whiff of match smoke. Rich across the palate with hints of almonds and plums. The one and only still, with the one and only Dean Jackson. 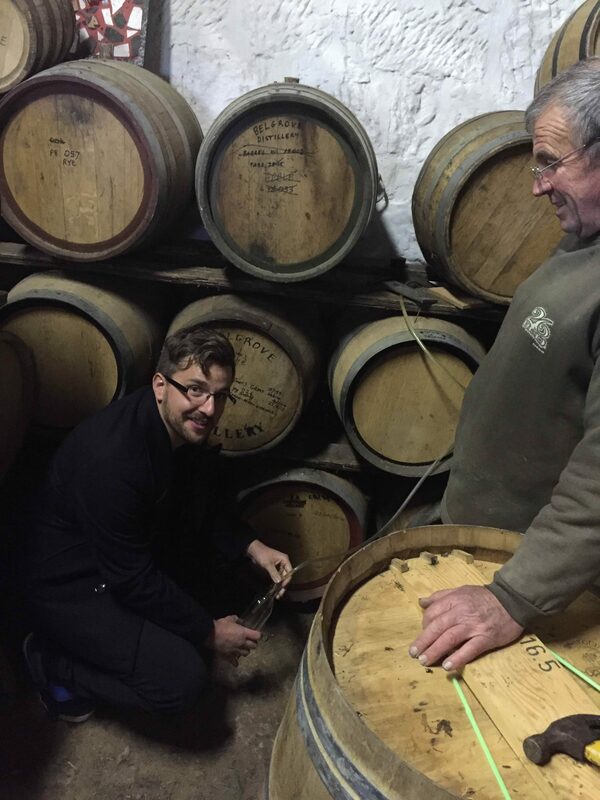 We were then offered the chance to visit the maturation room housing all 42 barrels laid down by Dean to date. 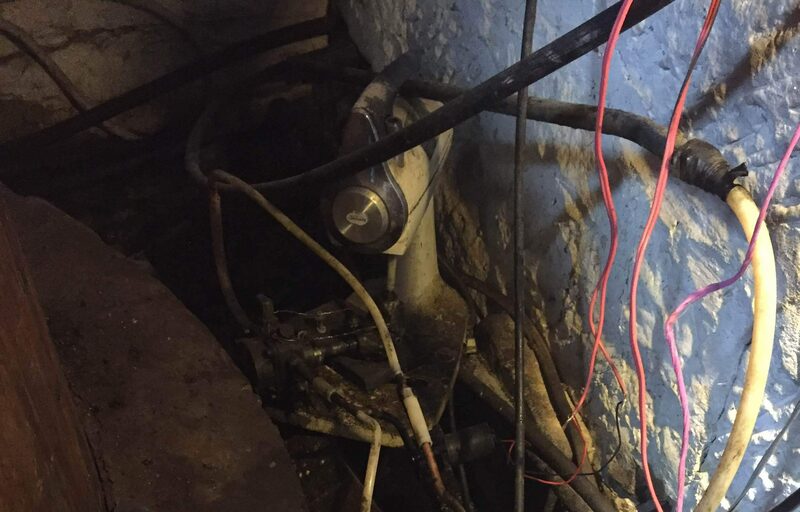 Unfortunately we cannot reveal the location of this fabled room, as we were forced to swear on our miserable lives to keep the location secret before being allowed in (blindfolds and top-secret rituals may or may not have been involved too). 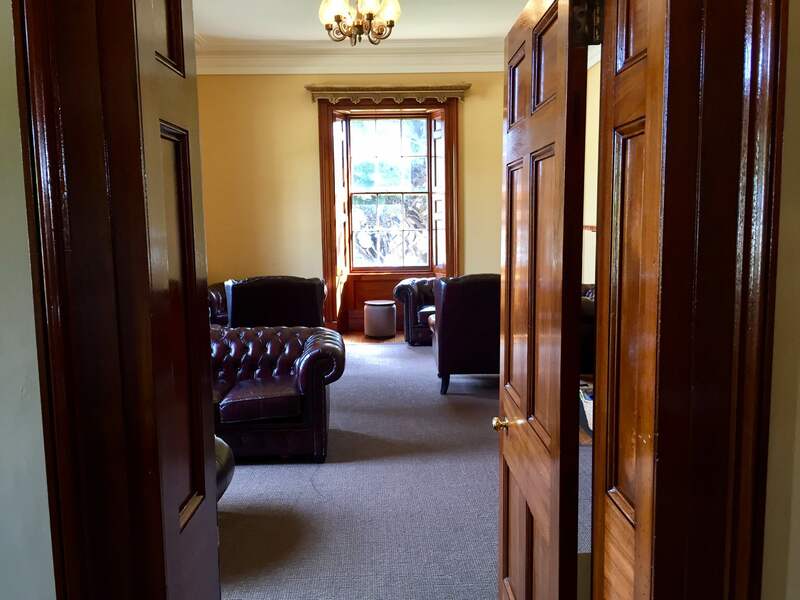 Once inside, our noses were immediately greeted with the glorious scent of potential whisky. Dean told us to inhale as much as we could whilst there, to ensure the angels didn’t get too much (greedy sods). 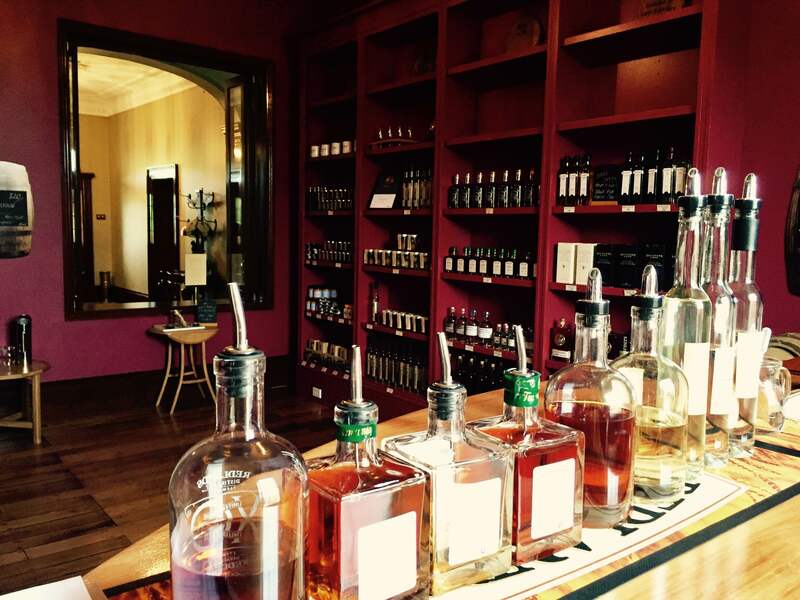 The mission of Redlands Estate is to create a purely Tasmanian whisky, so you won’t find any ex-bourbon or European sherry barrels lying around. 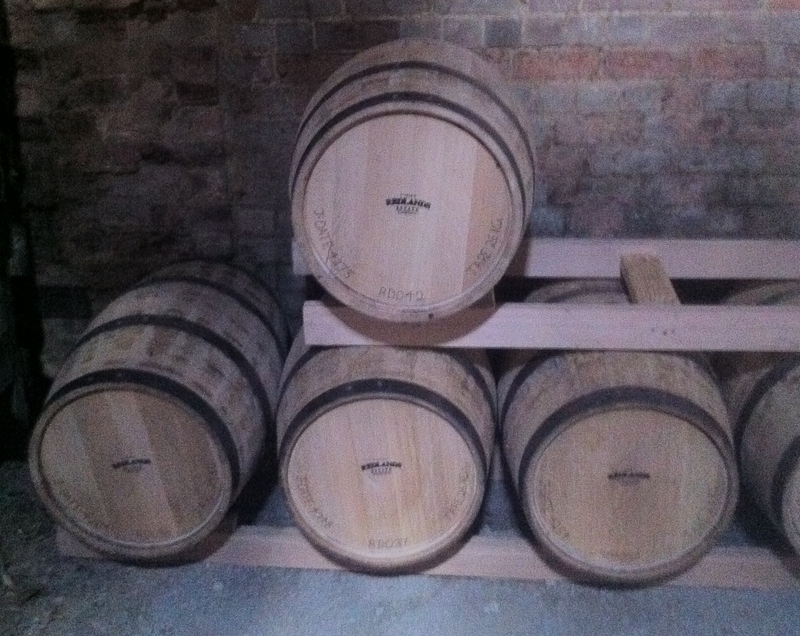 Instead, Redlands matures its spirit start-to-finish in ex-Pinot Noir casks sourced from three southern Tasmanian wineries. 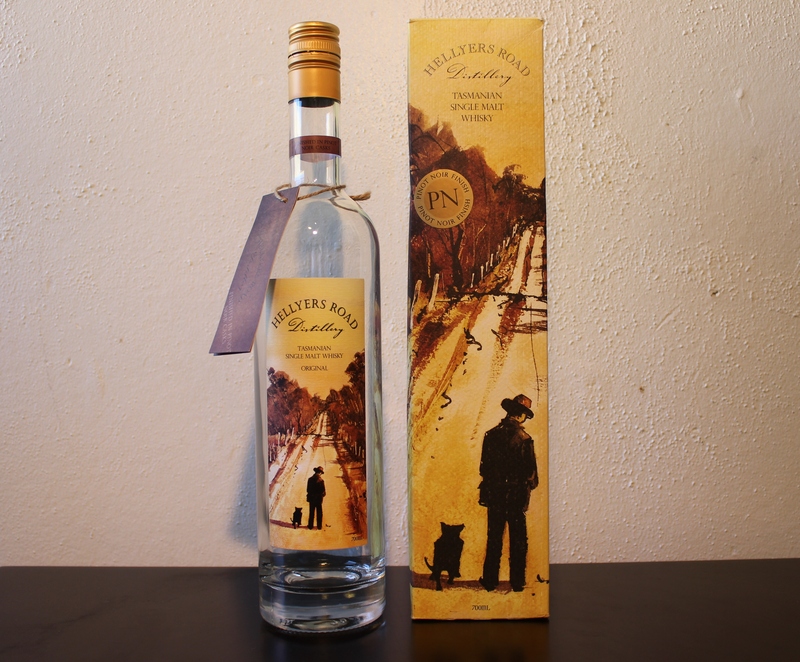 This is a departure from not just traditional Scotch whisky, but also from fellow Tasmanian distilleries. What effect this will have on the finished product we can only guess at, but Dean tells us that it’s shaping up as something very special. The newest barrel: number 42. The water of life within the meaning of life. Therefore he took no offence when Ted describe the brandy on offer as smelling like ‘damp fridge’, having himself described a prestigious whisky at a TWAS tasting event as smelling like ‘wet fish’! 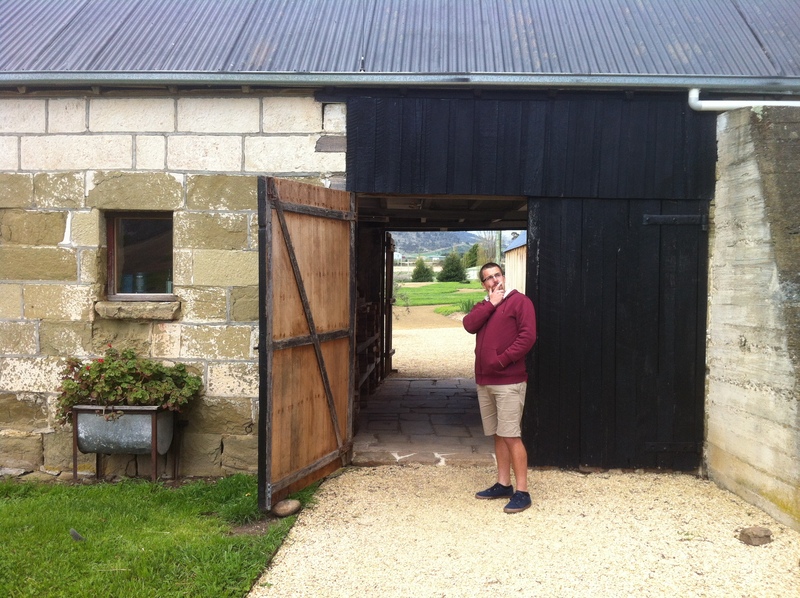 Redlands presents itself as a rustic, idyllic, countryside establishment which provides a true all-encompassing Tasmanian experience. While for some businesses this image would be merely a façade, a means to an end, we were pleased to discover that this was not the case at all; it is every bit as genuine as it claims to be. 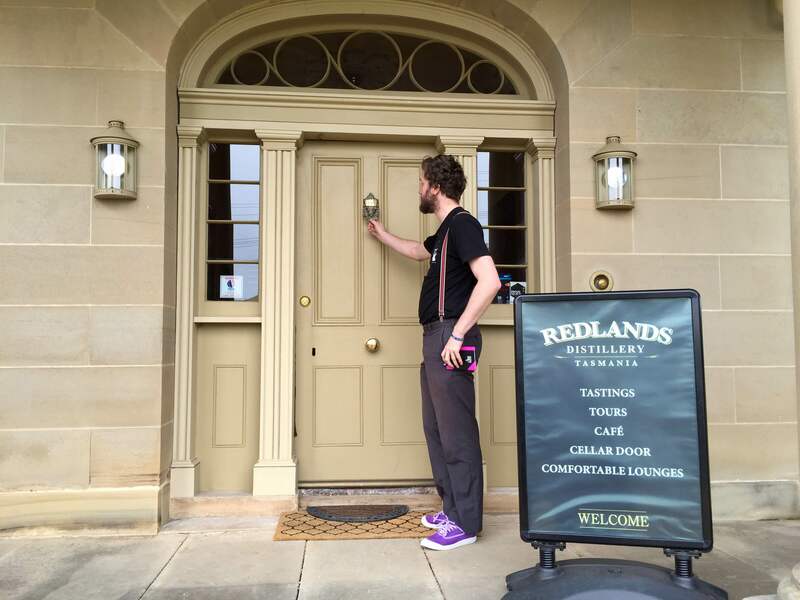 The ethos of Redlands is shown in the dedication, passion and care taken in every aspect of the whisky making process. 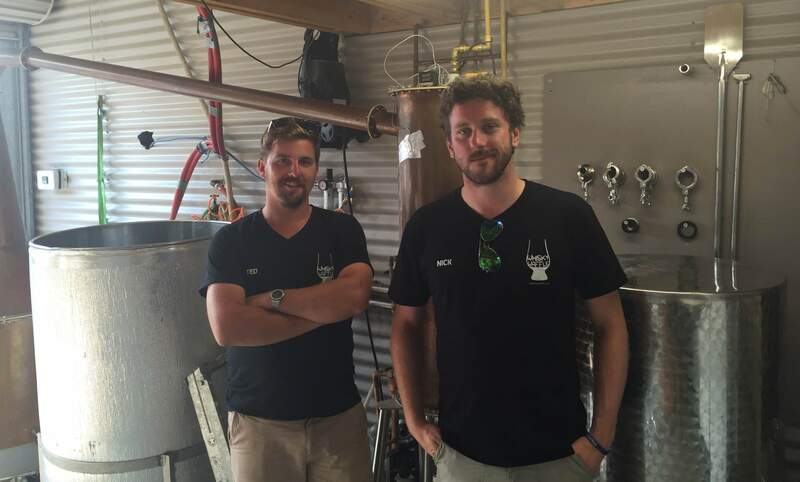 We believe that these elements will be expressed in the Redlands single malt when it is finally released, and we will be excited to sample this unique Tasmanian whisky.